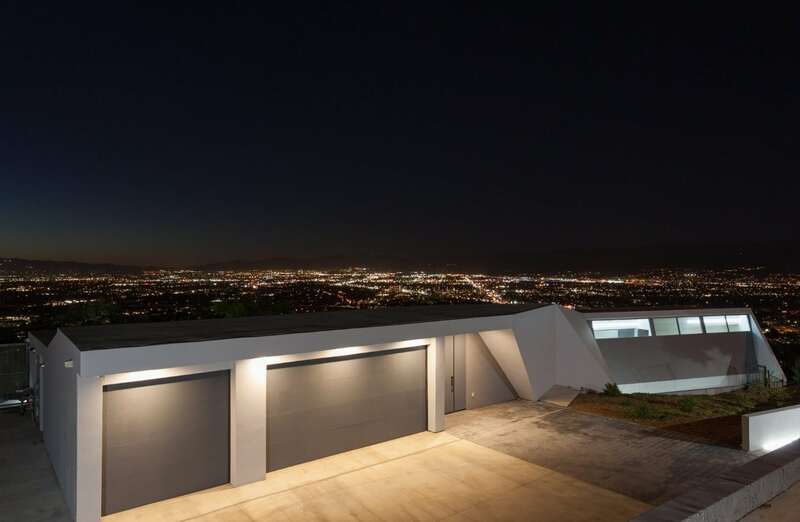 A gated driveway provides a cinematic entry to this newly constructed world class estate – ideally located with easy access to the Westside, Beverly Hills, Downtown, and studios. 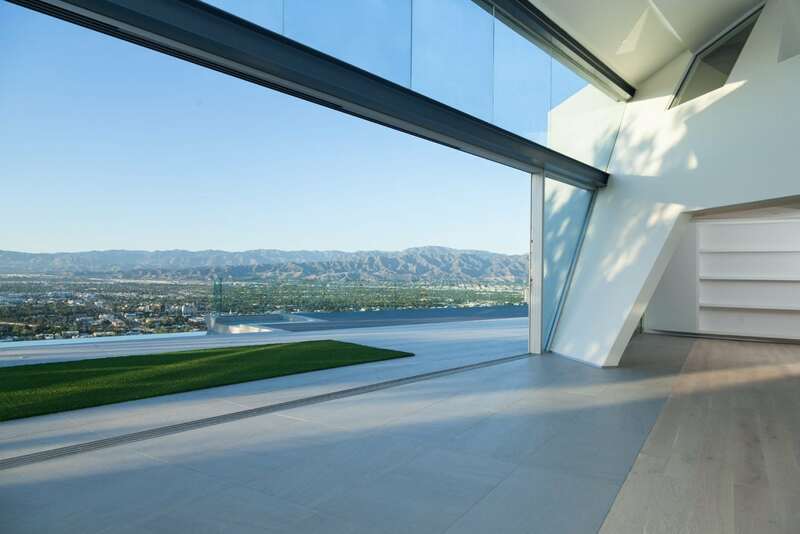 Enjoy panoramic 270 degree views from this magnificent modern with all the elements for a uniquely designed architectural dream. 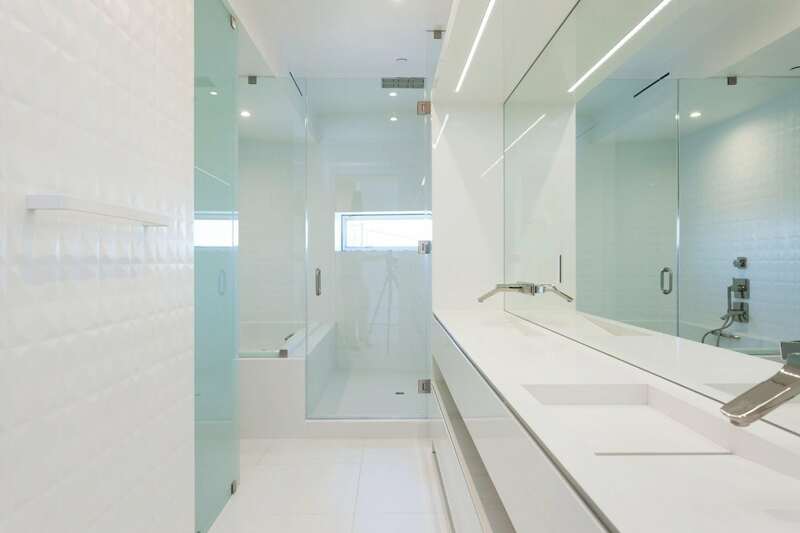 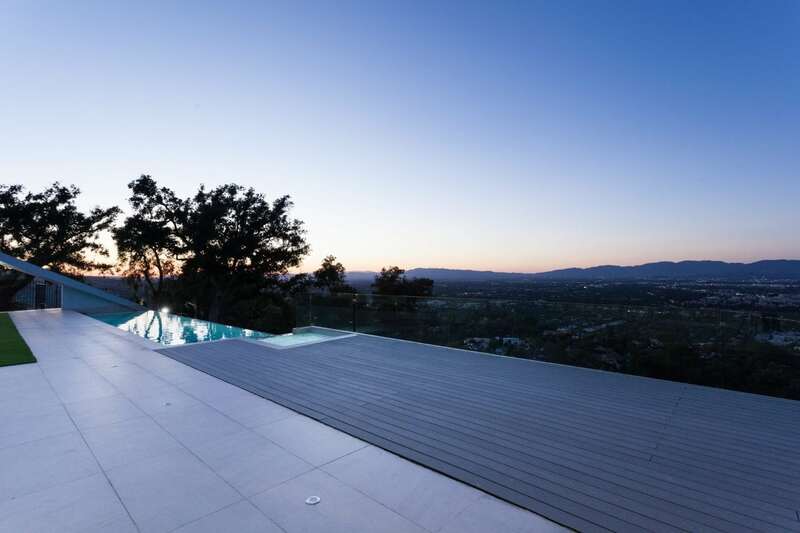 Offering the utmost in privacy, this one-of-a-kind property has set the bar for contemporary design. 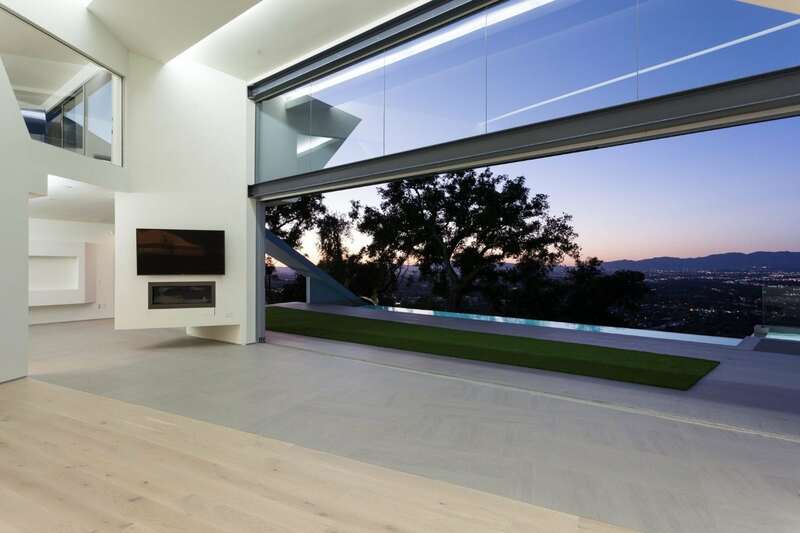 Walk into a dramatic entrance with panoramic views and angled windows all around. 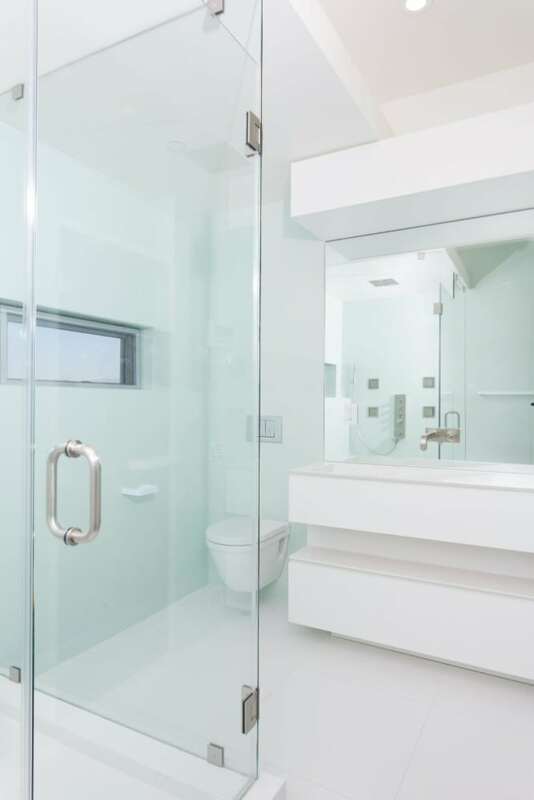 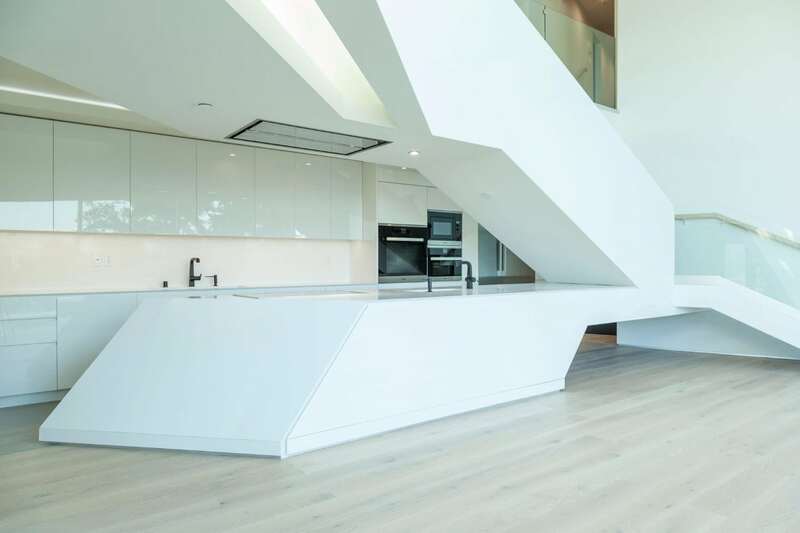 Designed with the keenest of eyes, every detail is perfectly calculated. 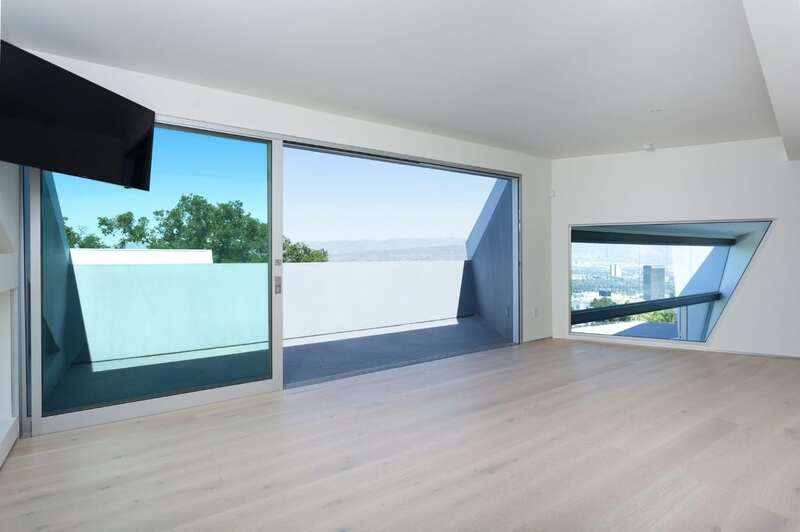 With a total of 4 bedrooms all with floor-to-ceiling windows, 6.5 baths, and 2 master suites, this house is an entertainer’s paradise. 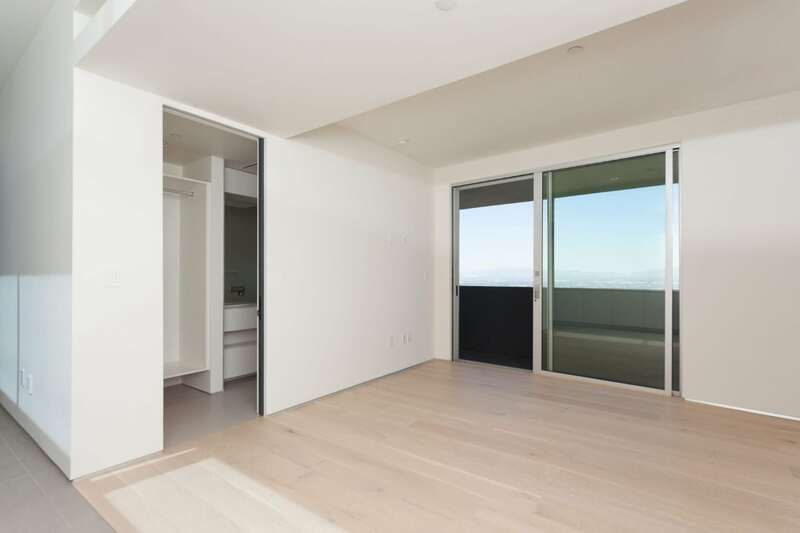 The master on the lower level has a private entrance that overlooks the view and a master bathroom complete with a state of the art sauna. 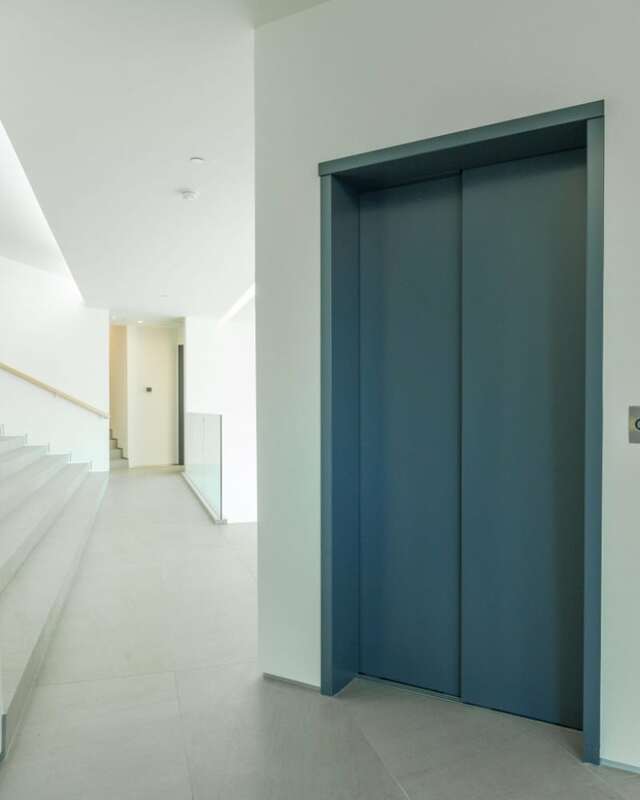 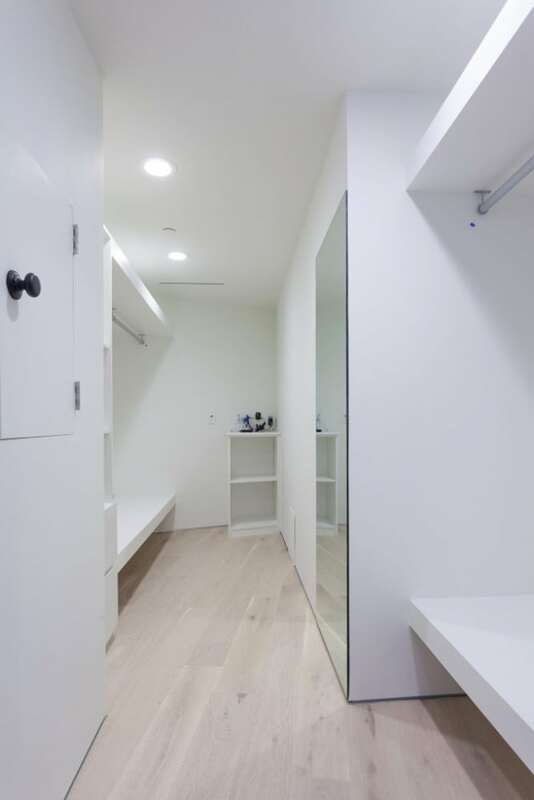 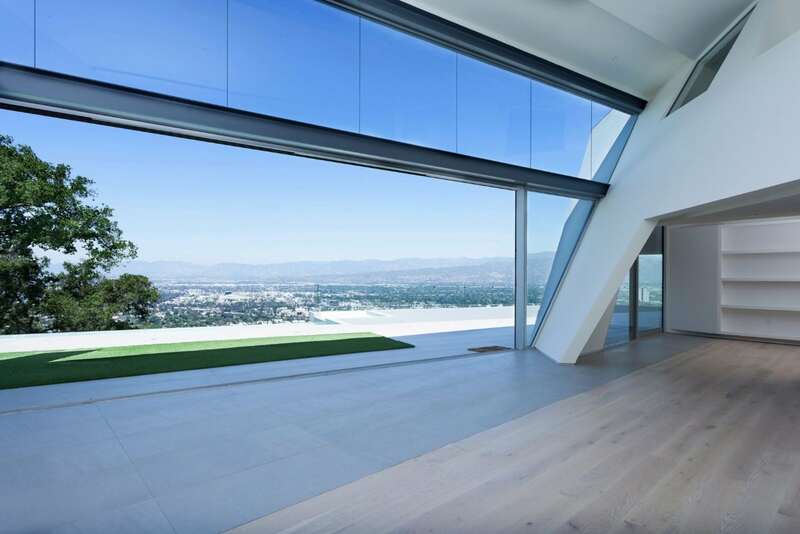 With voluminous rooms, custom oak hardwood floors, electric fireplace, and top-of-the-line elevator, the elements in this home creates a warmth rarely seen in modern architecture. 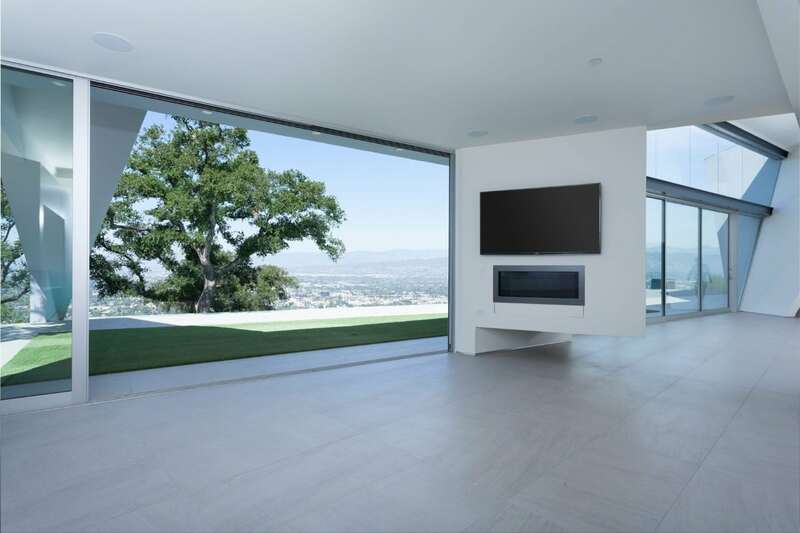 Surrounded by natural light, enjoy an open kitchen with contemporary Miele appliances that flow seamlessly into the family room, dining room, and office/library. 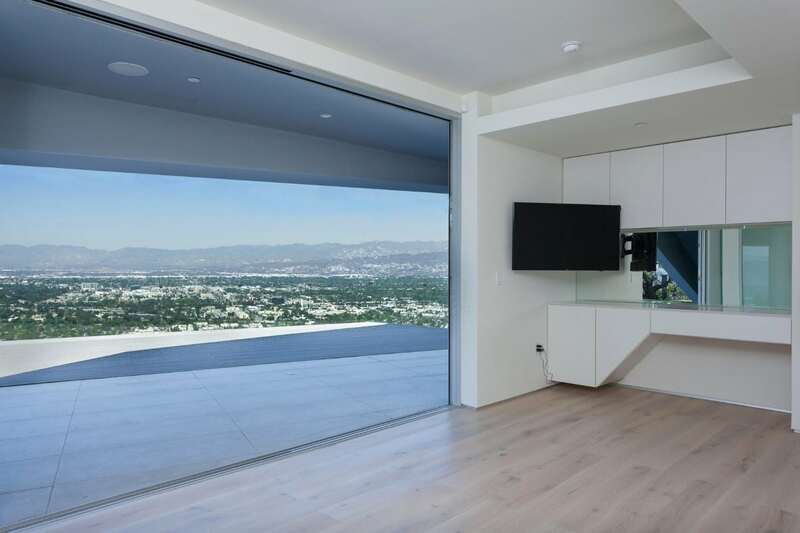 Floor-to-ceiling windows throughout open up to a jaw-dropping backyard with endless views and an infinity pool that provides a spectacular backdrop. 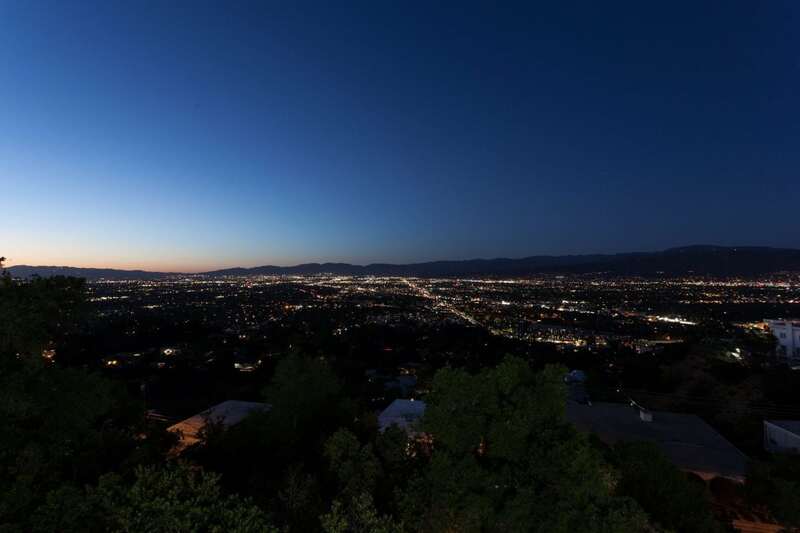 The setting is truly like no other, surrounded by mature landscaping and city lights, this home offers a tranquility hard to find in the busy city. 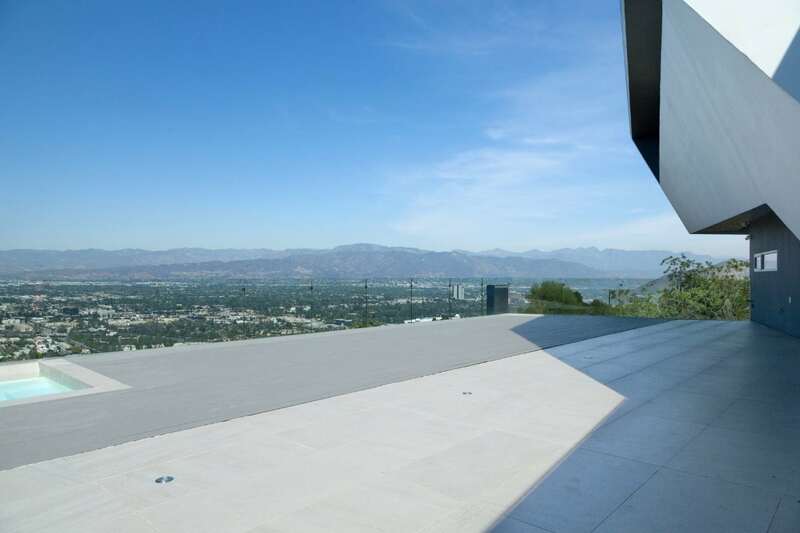 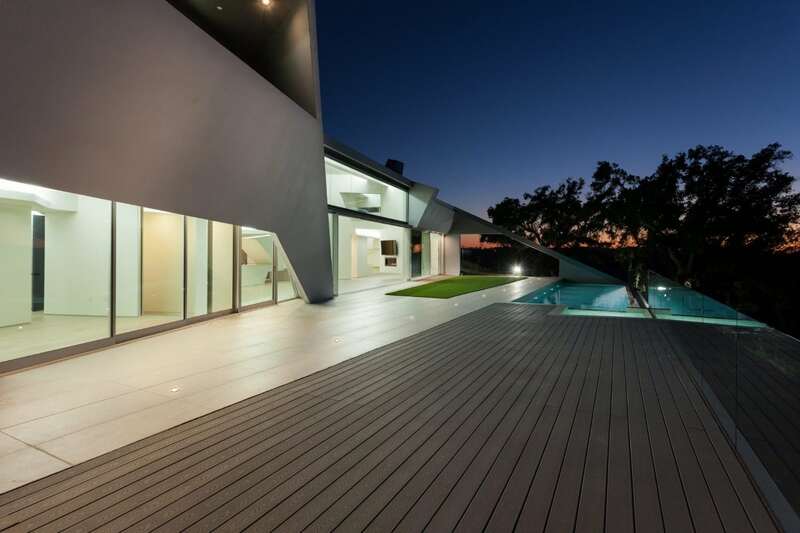 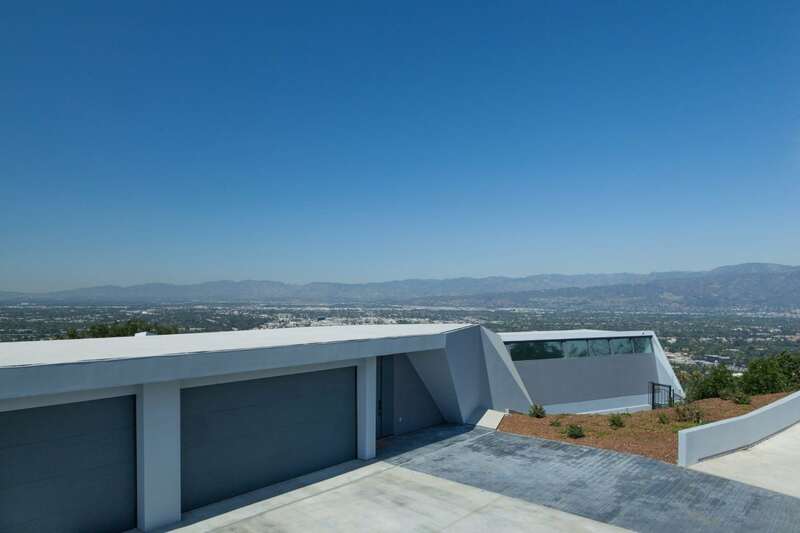 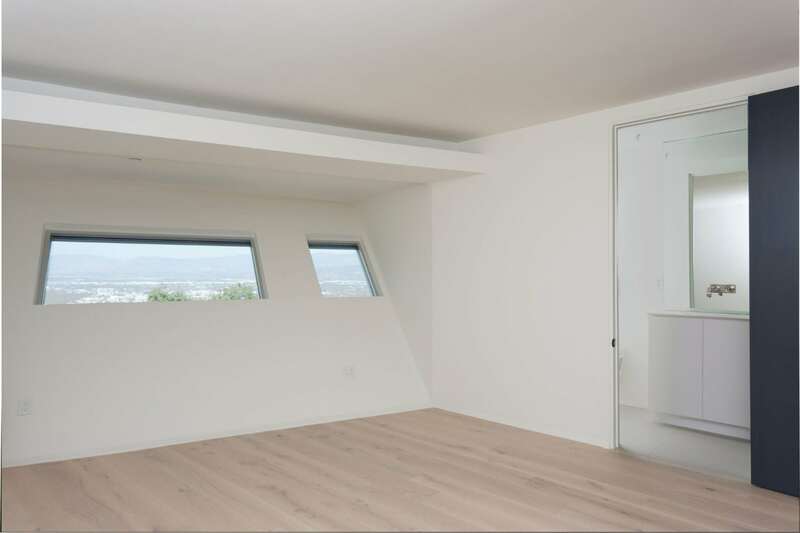 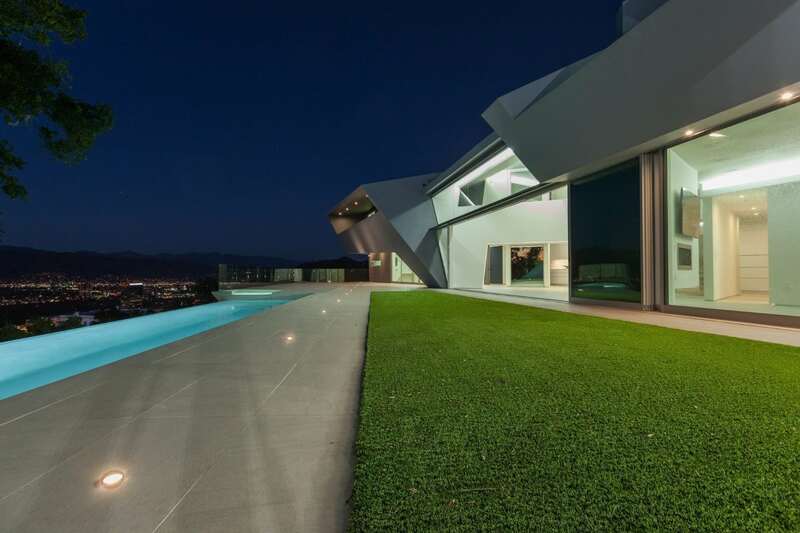 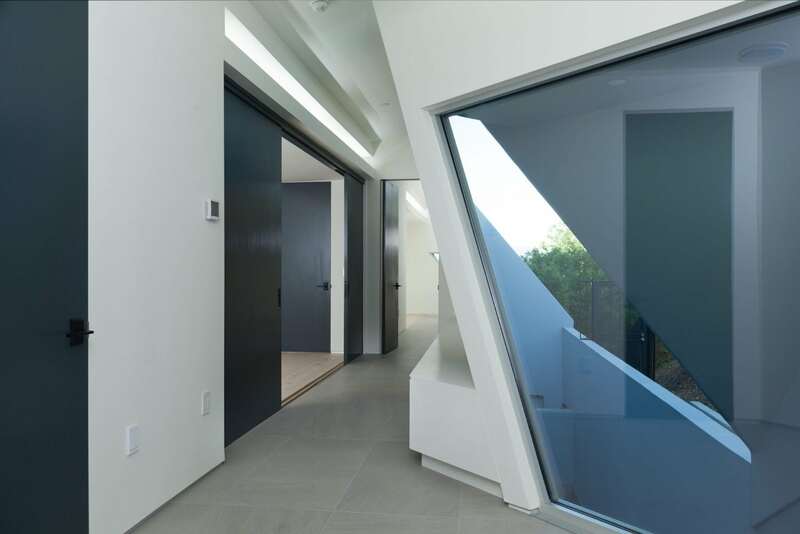 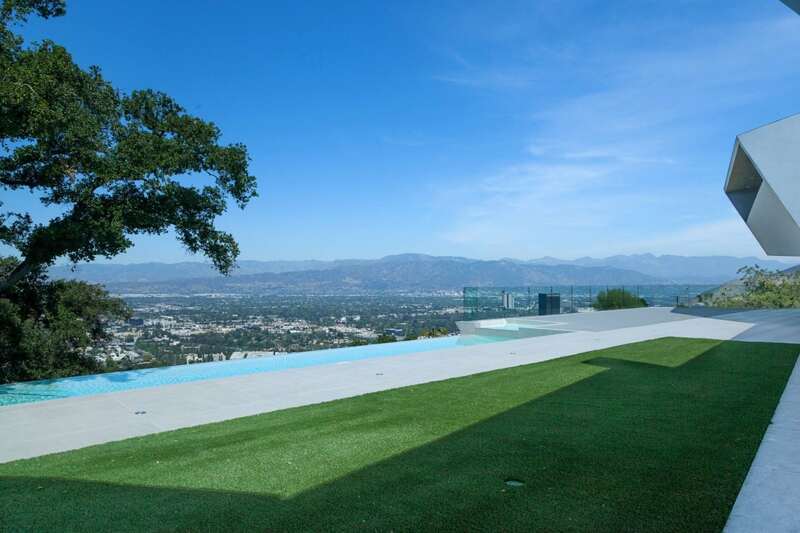 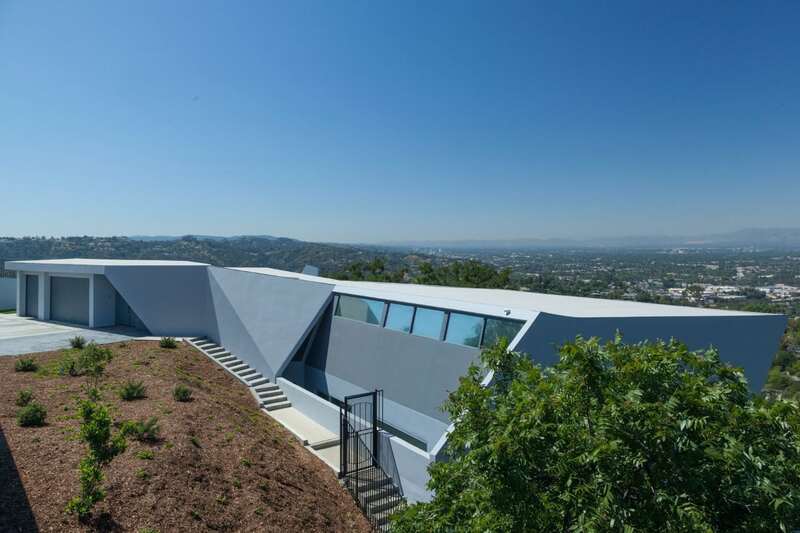 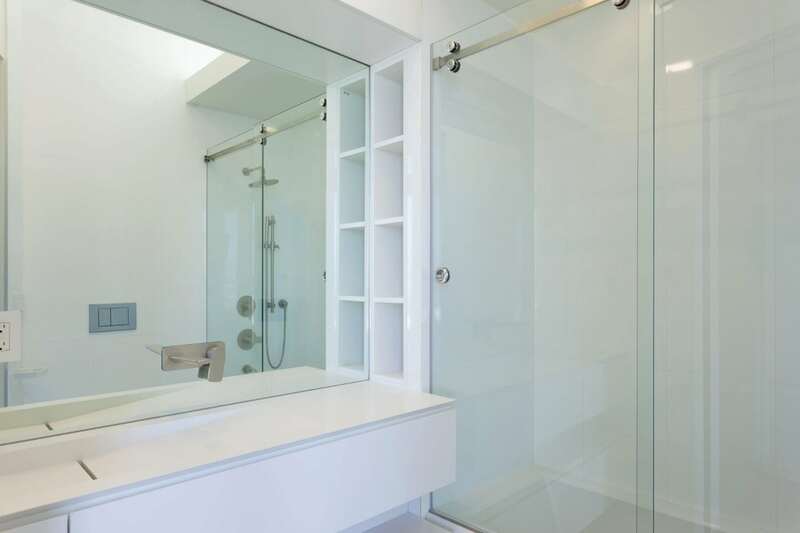 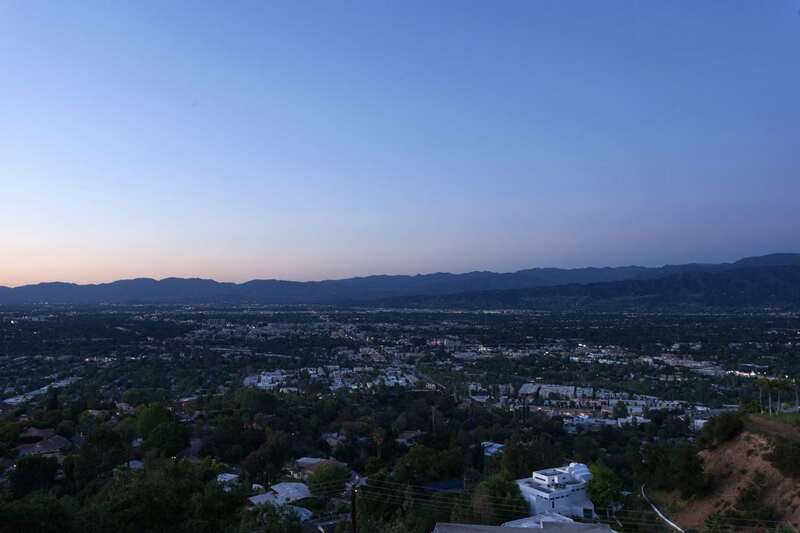 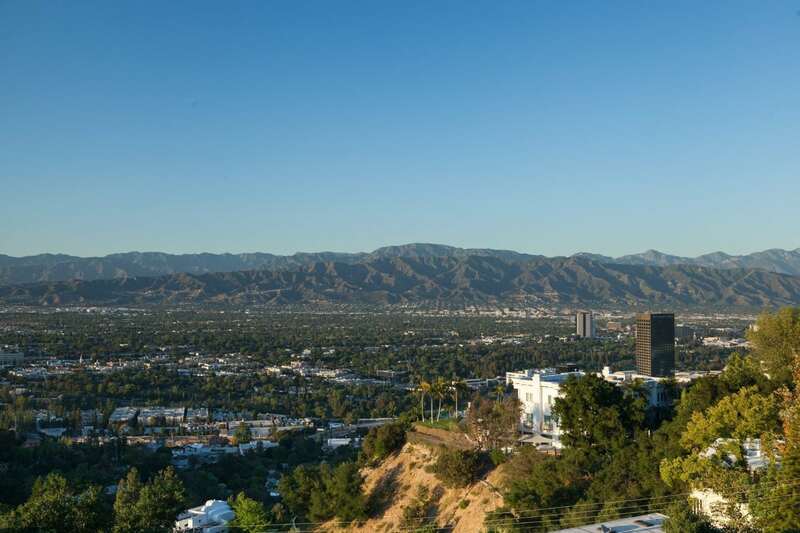 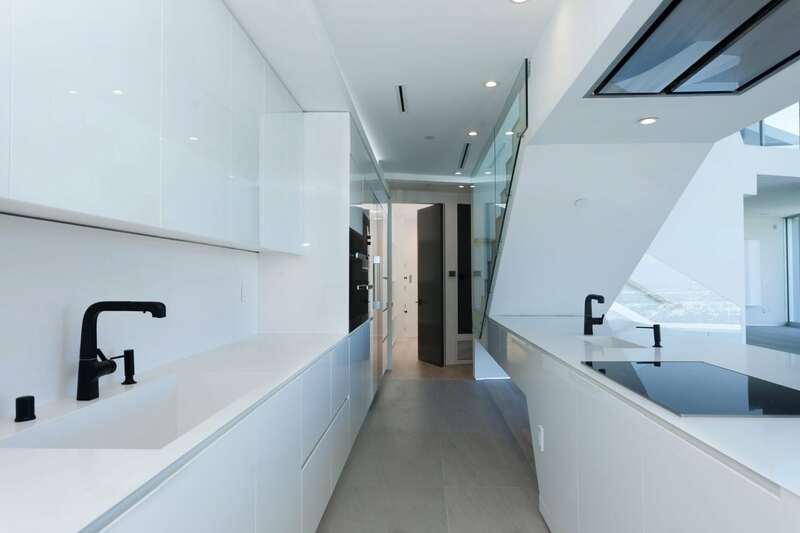 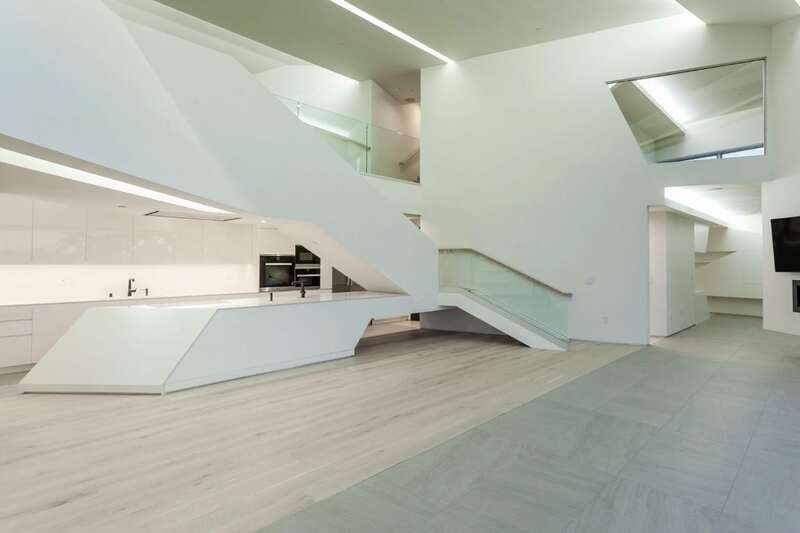 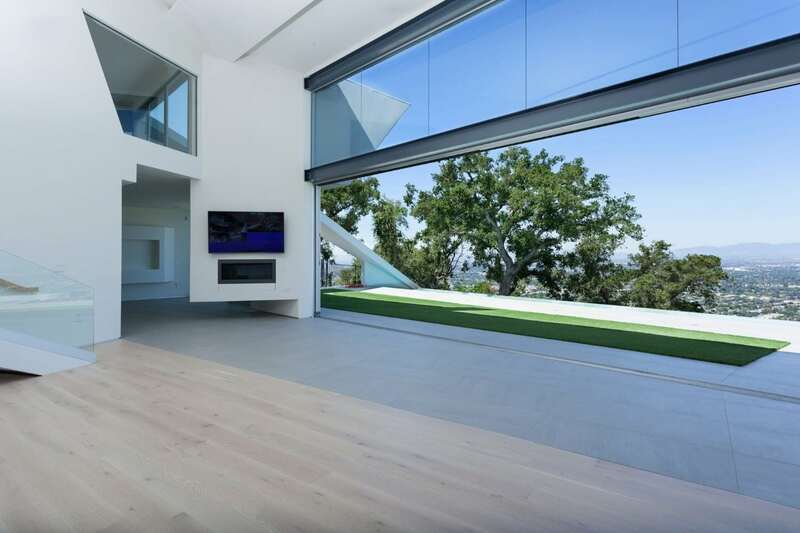 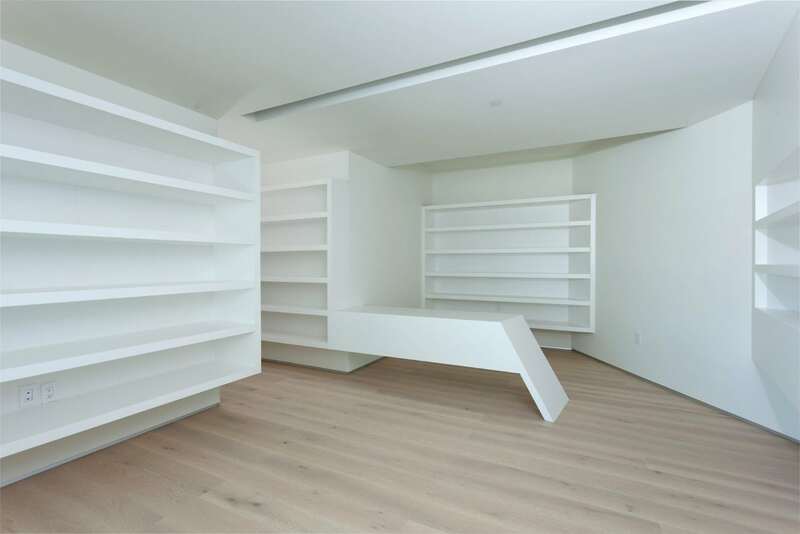 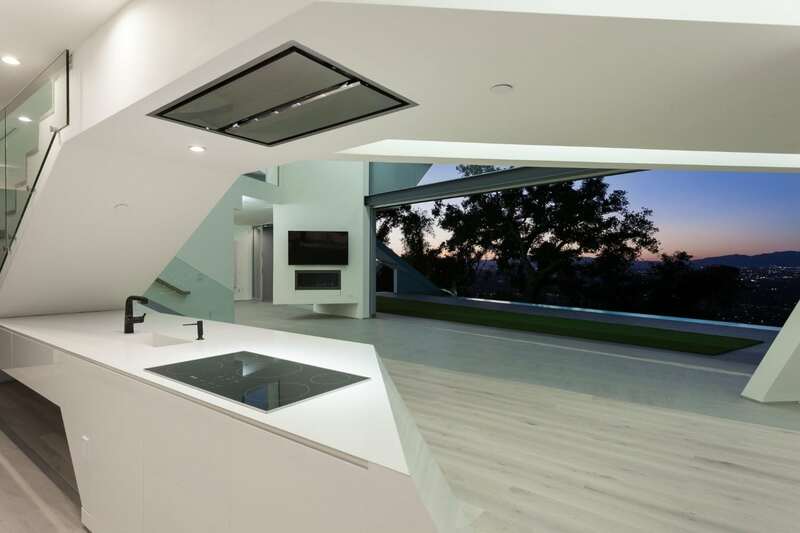 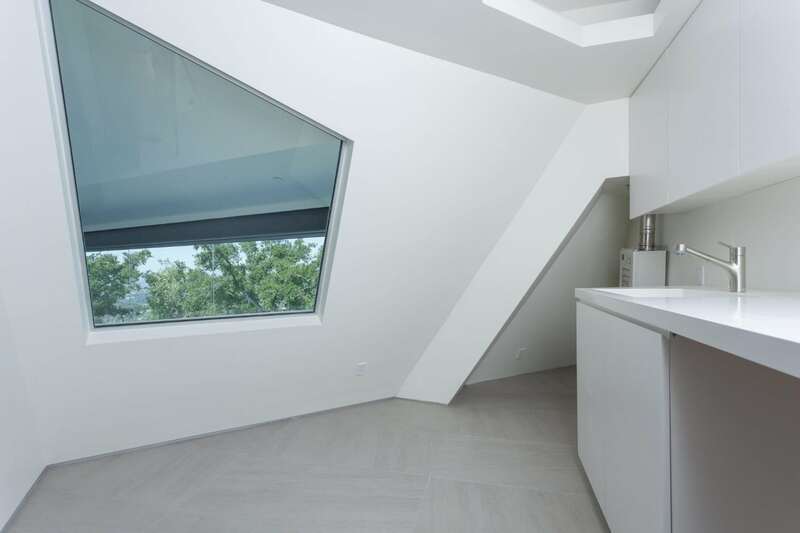 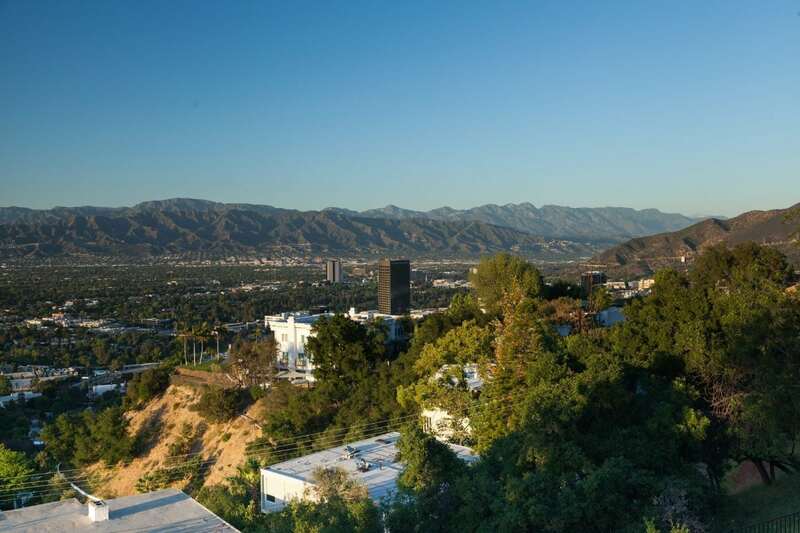 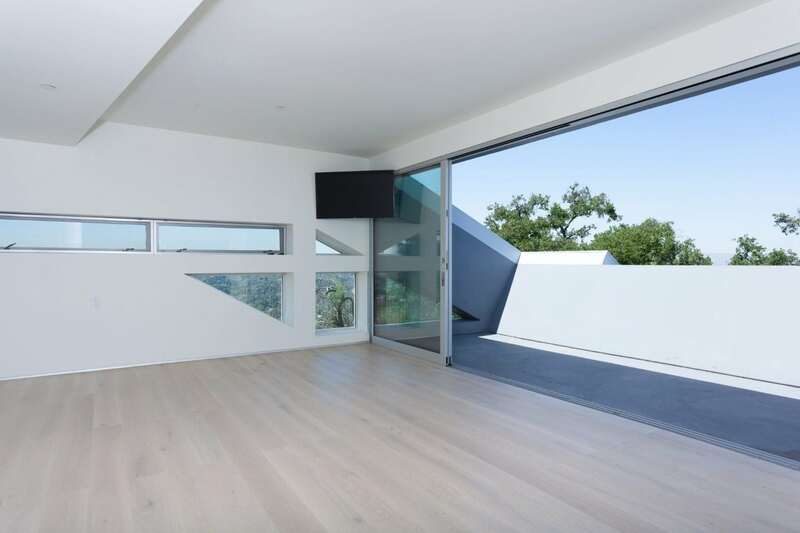 Interested in 7877 Mulholland Drive, Hollywood Hills?